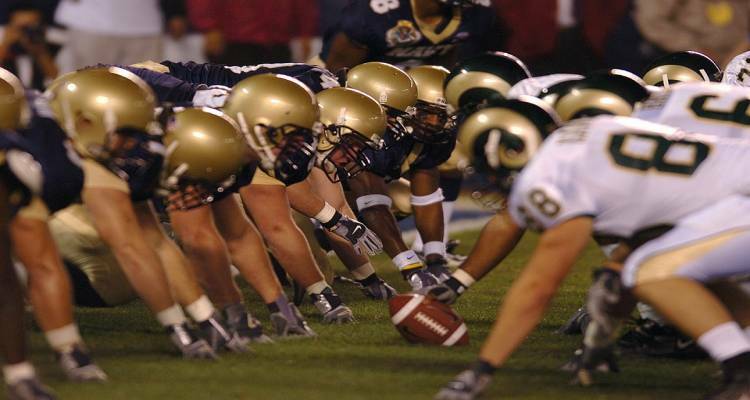 What can marketers learn from the Super Bowl? The USA are seizing their activities as all citizens race to the bleachers with buckets of fried chicken and Budweiser. This can only mean one thing: it’s Super Bowl weekend. Over the years, this sports event has evolved into one of the biggest marketing events in America. The role of mobile to engage fans in and around the sports stadium has experienced that same growth. What lessons in mobile marketing can other sports and event marketers learn from the Super Bowl? Super Bowl marketing is known mainly for the many companies spending big bucks on the television ads. Brands spend up to $ 5 million to show a 30-second commercial. Haven’t seen those of last year? You can watch them here. But, the Super Bowl is not just a source of inspiration for retailers. There are many more takeaways for marketers of (sports) events with a smaller budget. As the Super Bowl shows, mobile provides many cheaper ways to create customer engagement in the sports industry. Let me show you some of the most game changing ones. Sports matches, especially ones like the Super Bowl, can bring out a full range of emotions. Happy fans, angry fans, excited fans, desperate fans, fans who don’t even know what to feel anymore. That makes for some interesting footage, don’t you think? Well, that sure is what the Clippers thought. Just like some other teams, they implemented state-of-the-art cameras, taking pictures of each and everyone in the audience. The audience now receives some memorable must have photos to show one’s dedication to the team. All the supporter has to do is install a free Fanpics app and fill in his seat number. His reaction to the game’s highlights are sent to his phone. This way, the fans receive action photos of themselves while fully enjoying the match. In return, the hosting stadium receives data on the user, allowing to better reach and target its fans. The game has begun. The excitement goes through the roof. But what if a fan wants to keep watching but is forced to take a quick toilet break? It’s obvious he doesn’t want to miss a thing at this time. With the massive use of mobile phones in the sports stadium, this device is the best way to guide the fan to the nearest restroom with the shortest waiting line. Data from phones all over the stadium are used to determine the length of the queue. Using beacon technology, directions to the closest restroom are displayed on the fan’s phone. These beacons allow stadiums to track all kinds of behaviors within the venue, such as movement and spending. By adapting this technology, you can help your fans enjoy the game the very best way possible. These beacons are used more and more in sports stadiums. Not only can they track behavior within the venue, it can also trigger content based on the location of the fans. If a sports fan enters one beacon’s area, a push message with content -specific for that area- can be shared. Each time a new area is entered, more content can be released. This allows for creating interaction and engagement with the fans on the bleachers. For example, watching the video in the stadium is made more attractive by sharing live pre- and postgame videos and press conferences. And how about real-time streaming replays and accessing stats about the game? That sure beats watching from your couch, doesn’t it? Watching a game is always better when you watch with friends, right? That’s what Facebook thought. By putting up social media screens in stadiums, fans in the audience can already easily interact with each other. And since last year (2016), Facebook has made it even easier to interact with friends in the stadium and at home. With Facebook’s Sports Stadium (USA only), fans have a dedicated environment where they can comment on the game, check live scores and stats, get expert opinions from teams and journalists and more. This way, the thrill from inside the stadium can be shared with friends on the other side of the stadium or those watching at home. As you can see, the possibilities of mobile to engage and interact with supporters in and around the venue are limitless. Of course, if you wish to provide all of this, you have to make sure this venue offers a stable Wi-Fi network. Fans expect the internet connections to be fast and reliable, the interfaces to be made user friendly and content to reach them when and where it is relevant. CM Telecom is more than happy to help you explore the possibilities of mobile to draw more visitors to your venue. Curious? Let’s talk.